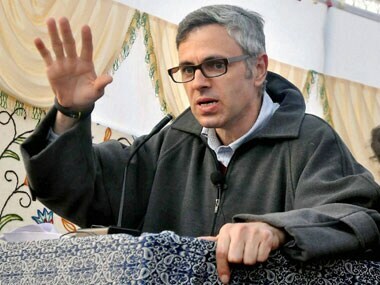 New York: Former Jammu and Kashmir Chief Minister Omar Abdullah does not see an imminent war looming between India and Pakistan despite the heightened tensions along the LoC and believes the two countries are a "lot more careful" about the prospect of war than some of the news channels would like them to be. "I don't believe we are," Abdullah said when asked whether India and Pakistan are at the brink of war. "I am not one of those who sees imminent war looming in the sub-continent. 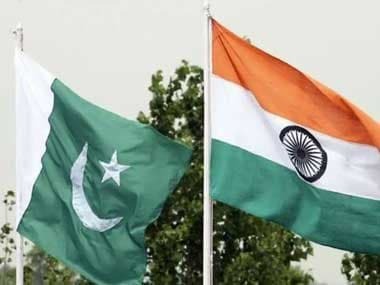 I'd like to believe that both governments in New Delhi and Islamabad are a lot more careful about the prospect of war than perhaps some of our TV channels would like them to be," he said at a conference titled 'India and Pakistan: A Subcontinental Affair' organized by the students of New York University on Friday. Pakistan's former President Pervez Musharraf was also scheduled to speak at the conference but he cancelled his appearance at the last minute citing "security concerns". There were several moments of animated discussions, some heated arguments and loud cheers during Abdullah's nearly hour-long discussion with the gathering, that included students from both India and Pakistan, on Kashmir, the surgical strikes by India, killing of Hizbul commander Burhan Wani, tensions with Pakistan, plight of Kashmiri Pandits and Article 370. Abdullah said while there is tension along the Line of Control (LoC) and the ceasefire is "under a bit more pressure" than it was at the same time last year, India and Pakistan are not at the brink of war. Abdullah noted that the government of India has been very careful "in moderating how it has sold" to the rest of the world the surgical strikes conducted across the Line of Control. "The government of India has been very careful in explaining what they have done post the Uri militant attack. 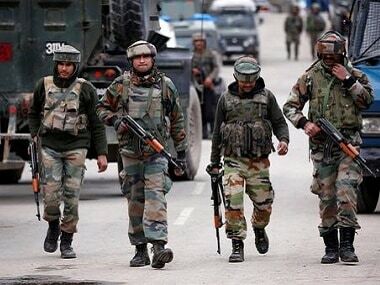 They have told the world this (surgical strikes) was an anti-terror operation conducted in the vicinity of the LoC," he said adding that the government has not gone into giving details of how far they went inside the LoC or how many people were killed in the strikes. "What that has allowed is for an opportunity for a sort of a more nuanced response on the part of Pakistan," he said adding that there would have been "enormous pressure" on Pakistan Prime Minister Nawaz Sharif to retaliate had the Indian government spoken of how far they went across the LoC or how many people were killed in the strikes. Abdullah said heightened tensions between India and Pakistan adds to the "mood of gloom" in the Valley because "no state more than Jammu and Kashmir suffers on account of a downturn in relations between India and Pakistan". The Kashmir Valley has been facing unrest and agitations for over 100 days now, in the wake of Wani’s killing and "unfortunately there is no end in sight to the current problem". Abdullah underscored that the situation in Kashmir is a "political problem" that needs a political solution. "I firmly believe that internally within Jammu and Kashmir, we need a dialogue to resolve the problem. It's a political problem, let nobody tell you that it's an economic, job-related, education related problem because it isn't," he said, adding that while there are elements of joblessness, of radical Islam but those are the minority elements. "Largely it is the product of the politics of Jammu and Kashmir...It is a political problem that requires a political solution which needs dialogue. "Similarly, at some point in time one hopes that relations between India and Pakistan will to an extent normalize that will allow for a sustained dialogue and then we can start talking about the various problems that shadow our relationship. Jammu and Kashmir will of course be one of them," he said. When asked what is the short-term solution to the Kashmir problem, he said it is to recognise the problem and "admitting that we have a problem. Right now just the acceptance that a dialogue is necessary and a dialogue with all those stake holders who are willing to talk to you". "Unfortunately in various quarters we have decided that we want to deny that a problem exists. Even if we do accept the problem, we don't want to accept that it is a political problem requiring political handling. We will talk about it in terms of a social or a law order problem," he said. Abdullah stressed that unless there is a long-term sustained dialogue, such uprising and agitations will keep taking place. Abdullah said there was some optimism following Prime Minister Narendra Modi’s outreach after assuming power to invite Sharif to his swearing in as well as through his surprise visit to Lahore last December. "That developed a lot of hope that we will be able to address this problem (Kashmir). It is a problem that needs addressing, resolution," he said. When questioned about the UN Security Resolutions on Kashmir, Abdullah emphatically said that the onus to create conditions for a plebiscite under UN auspices does not lie with India but with Pakistan. "To this day I fail to understand why we in India feel so apologetic that this UN referendum never took place. The onus wasn't on India to create the conditions for that referendum,” he said. He explained that according to the UNSC resolution, for such a plebiscite to take place Pakistan has to, as a first step, vacate from all territories that it has come to occupy after August 1947 and remove regular and irregular forces from the territorial boundaries of Jammu and Kashmir. He said subsequent to that, India has to scale down, not withdraw, to a manageable level its presence in Jammu and Kashmir and only then can the plebiscite take place. "If Pakistan is unwilling to fulfill step one, how is it India's responsibility to fulfill step 2. But for some reason for all these years we have allowed the world to believe that somehow the people of Jammu and Kashmir have been denied the right to choose because India chose to deny them that right, which is not true. "So historically we have a stronger case for what happened in Jammu and Kashmir than Pakistan does," he said. Abdullah said he is not sure if a solution through a plebiscite can take place in the current circumstances “because the territory of Jammu and Kashmir no longer resembles what it did on the night of August 1947. "In that respect the Government of India has been absolutely blameless. Our territorial boundaries have not changed. No government in New Delhi has tinkered with state boundaries. Pakistan cannot say the same, they have tinkered with the territorial boundaries. "When the state of Jammu and Kashmir does not look like what it did in 1947, how are the UN Security Council resolutions applicable today. They are not," he said. He added that no government elected in India will ever have the mandate to redraw territorial lines. "That is not going to happen so we understand that the solution to the problem of Jammu and Kashmir must lie within the constitution of India and the constitutional relationship between Jammu and Kashmir and India," he said. On whether the Line of Control should become the defacto border, Abdullah said "logically" that would make the most sense but "do we have governments in India and Pakistan who can take that decision? "If you step away from the jingoism, logic would dictate that that is the only solution," he said. Abdullah said there is a "disaffected population" in Jammu and Kashmir that has to be brought into the mainstream. "I am not suggesting that we have to open dialogue with all militant groups. That is not possible. But there are political elements within the valley that dont advocate the cause of violence, that are looking for a solution beyond the current status quo. Why not talk to them," he said. When asked about the plight of the Kashmiri Pandits, Abdullah said Jammu and Kashmir is "incomplete" without them and "obviously a solution to Jammu and Kashmir will have to include the return of all those people who left". "Kashmiri Pandits did not leave of their own accord, they left because their sense of security was snatched away from them. They will not come back unless that sense of security is restored to them. 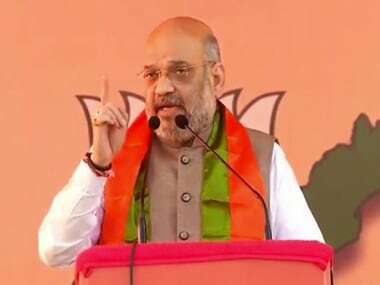 No solution to the problem of Jammu and Kashmir will be complete unless we can bring these populations back," he said, adding that it is the duty of the governments in Jammu and Kashmir as well as in the Centre to work towards restoring that sense of security for them. There was an animated exchange between Abdullah and a young woman, who said she hailed from Azad Kashmir where people are "happy". "Then that means the export of terror has been in one direction. The terror camps are not operating in my side of Kashmir sending them to your side. They are operating in your side of Kashmir coming across to my side," Abdullah said. "So please don't tell me how happy you are. You are happy because we are not interfering in your day to day life," he said adding that militants from 16 different nationalities, including Bosnians, Chechens and Sudanese, have come from across the Kashmir border.